How It’s Irish: Traditional music knows no boundaries. Tony Horswill recalls meeting Ian Campbell, folk music icon, and wearing tights at a Birmingham banquet. I remember my stint on the medieval banquet circuit as the time I first learnt how to put on tights. The thrill was somewhat muted though, as just as the lady organizer of the event was showing me her technique behind a rack of inauthentic medieval frocks, her jealous husband burst in.But that’s another story. 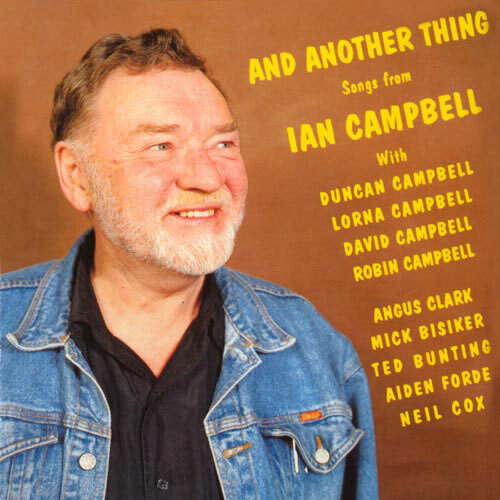 The real story is that is where I met the great folk music icon Ian Campbell who unfortunately left us late last year. He cut an impressive figure with his flowing purple robe and white beard in his role of “Lord Chamberlain”. The pseudo-historical medieval banquet pantomime gave employment in the lead-up to Christmas to those traditional musicians with a certain fortitude who needed the work. This particular incarnation in the early ’80s was at a faux castle called Himley Hall in the “Black Country” region of the English Midlands, named for its pioneering work in early industrial pollution. The banquet season provided a similarly unhealthy experience. The closest thing in the US would be the Renaissance Fair but this form was decidedly more alcoholic, low-brow and bawdy. It was essentially an excuse to “dress up while pissed up” and abuse the entertainers. Ian took it all in his stride. The feeble plot of the night as I remember it revolved around Ian appointing a Lord and Lady for the night ( humor of course ensued as all chaps and wenches were forced to swear fealty and beg indulgence on their frequent trips to the toilets, nay garderobes) but his real function was minstrel and bailiff in equal parts. His reputation among traditional and folk musicians was legendary, but his fame to me and the wider public at that time was for being the father of Ali and Robin Campbell in the groundbreaking multi-racial band UB40. They were not just one of the rare examples of a successful fusion of pop and reggae but were also had a Top Ten hit with a protest song for God’s sake – “I am a One in Ten” like the UB40 moniker referred to the unemployment of the late ’70s. On the surface of it these two aspects of Ian had nothing in common, but in retrospect they are both part of the his legacy. For Ian, folk music was more than the record company genre has become – it embodied a belief in humanity, community and a striving for social justice. “It didn’t hit her mate. It was these w**kers. I don’t miss – I nailed the bloke every f**king shot”. Ian’s recounting of this tale had us in stitches for days. Ian was a very funny man and a natural raconteur and storyteller as we appreciated when the musicians/comedians/bruised tumblers got to hang out together in the “outer hall” whilst the troglodytes were temporarily pacified with greasy lamb chops and cheap mead. One now bittersweet memory of such occasion was when some music rag had reported him dead and he got to deliver the line “Rumors of my demise have been greatly exaggerated”, and he delivered it perfectly. On rare, delightful occasions we persuaded him to sing for our little private party. Another one of Birmingham’s heroes has passed on. Epilogue: While I did occasionally drift into antiquated pseudo-medieval language, note that “chaps” and “wenches” is 100% current up-to-date Black Country speak. You gotta love those yam –yams!